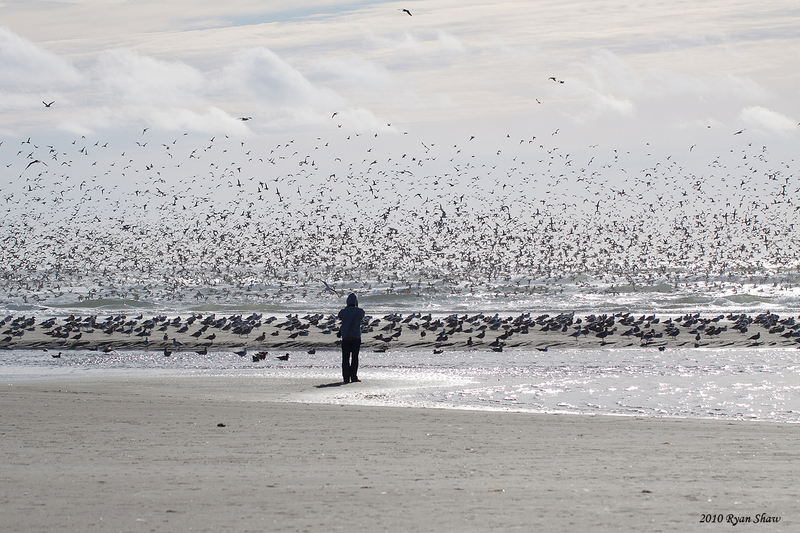 Millions of seabirds on the move! During late summer, these Sooty Shearwaters will join a vast migration, when millions of seabirds fly over the Pacific and Atlantic Oceans. Jaegers that nested on the Arctic tundra are flying south to tropical oceans. Arctic Terns and skuas make an epic journey to Antarctic waters. 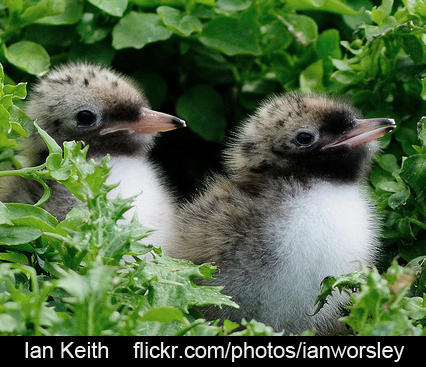 Shearwaters in the tens of millions leave northern oceans to nest in the Southern Hemisphere, many near New Zealand. Even puffins bid farewell to their shoreline nesting cliffs, scattering widely across the open ocean for the winter. Late August is a fine time to walk the ocean beach. Weather is growing mild; gulls jabber overhead; waves gently lap the sand. But look out to sea: if your eyes could take you beyond the horizon, you would see an astonishing scene. A vast migration is taking place. 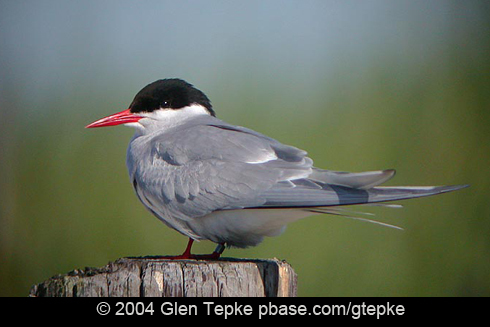 Offshore, over the Pacific and Atlantic Oceans, millions of seabirds are on the move. Most are heading south, migrating past the US coastlines in August and September. Meanwhile, back on the beach with the warm August sand between our toes, we relax. We squint out into the distant blue. Above the glimmering sea, is that a single shearwater we see, tipping above the horizon? A straggler, maybe? And a clue to that immense migration taking place just beyond our sight. Bird sounds provided by The Macaulay Library of Natural Sounds at the Cornell Lab of Ornithology, Itha-ca, New York. Ring-Billed Gull 169780 recorded by Jay MacGowan; Arctic Tern 138232 recorded by Gerrit Vyn.